For professional quick-turn CD and DVD duplication, or high volume CD and DVD Replication, we will be sure to deliver your PefecDisc project on time…every time! For years our creative team has delivered striking designs for the simplest projects, to complete product kits. Let us make you look like a Rock Star! Use our print-ready design templates to make your project look professional. Click here to find the face art and packaging option you are looking for. A quick and easy file upload tool, so you can get us all we need to provide you with the fastest turnaround times in the area! Don’t forget to use our templates! Please provide us with your contact information and the product you would like us to quote. We will respond to you ASAP! Direct to Disc Printing – NO PAPER LABELS HERE! No Per-Color Setup or Plate Fees! At Media Tech Plus, we only produce with the highest quality media with full color on disc PerfecDisc printing! 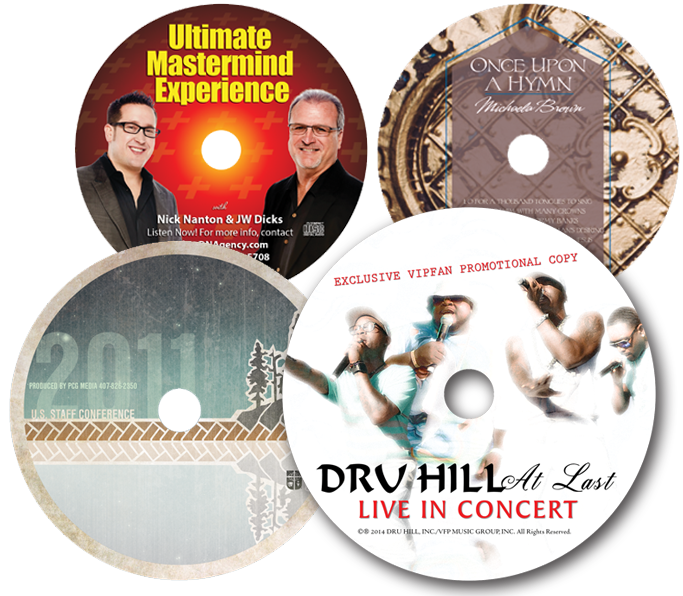 We have every type of disc packaging option you could need in any quantity, and that includes custom printed mailers! Fast turn times… great quality… packaged any way you want it… who could ask for more? Need help creating that killer marketing presentation to put on your disc? Contact us now and we will be glad to help! We can meet all of your Orlando CD Replication and DVD Replication needs. Our business is ensuring the duplication, replication, burning, and copying for Music CDs and data CDs makes your brand look TOP NOTCH! Don’t forget about USB Flash Drives…if you are looking for a tool that your potential customers will use often, seeing your brand OVER AND OVER… request a quote for a custom printed flash drive, with your materials there for them to see! Our Orlando CD Replication and Duplication service is not just for discs! WE do all of our assembly right in Orlando, and distribute throughout Florida with a 1 day shipping to all locations. Our Orlando CD Replication service and Duplication service is always the highest quality. We can ship throughout the U.S. and Canada to meet any deadline! 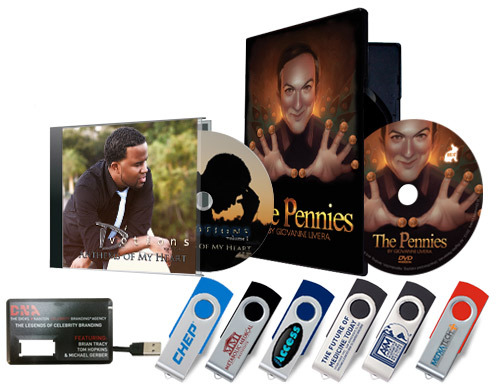 Contact us today and discuss your Orlando CD Replication and Duplication needs!